First Minister Alex Salmond: “Scotland shares Areva's vision of a cleaner tomorrow. Today's announcement provides a further boost to Scotland's position as one of Europe's key locations for offshore wind..."
French wind turbine manufacturer Areva has signed a Memorandum of Understanding (MoU) with the Scottish government to build a wind turbine manufacturing plant in eastern Scotland, the company announced today. 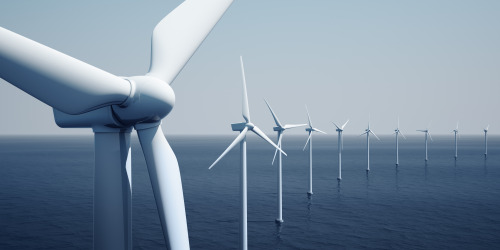 The MoU is a step towards establishing a factory in Scotland that will manufacture the company’s 5MW turbines for offshore projects in the United Kingdom, Areva said, complementing its Le Havre facilities that will supply France, Belgium and more southerly UK projects. “Areva has chosen to locate its future facility in East Scotland to optimise logistics costs for UK projects and to benefit from a growing cluster of offshore supply chain businesses in the area,” the company said in a statement. A specific location for the plant is yet to be decided, but it is believed that it will manufacture turbine blades and nacelles. Areva said the new plant will form part of the group’s strategy to establish a manufacturing base that will cover the European market from three main industrial hubs in Germany, in Bremerhaven, France, in Le Havre, and the UK, in Eastern Scotland. And, in an apparent bid to highlight Scotland’s dependence on the rest of the UK before Scottish residents vote on independence in 2014, Cameron added: “In addition to the economic security that comes from being part of one of the world's most successful unions, this makes Scotland an obvious place for companies like Areva to invest in."